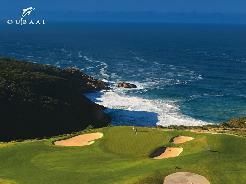 Simola Golf Course, the first Jack Nicklaus Signature course on the Garden Route, reflects the great maestro's philosophy of attuning the layout and design to the natural lie of the land. 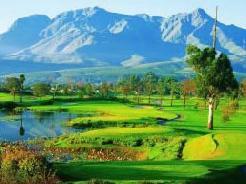 This is a superb golf course with some marvelous golf holes that create inner excitement when you step onto the Tee. 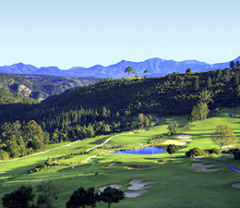 The Golden Bear's 18-hole championship course at Simola has been created to challenge the professional and inspire the amateur. Nicklaus’ aim was to create a golf course that will be a demanding test of skill for the accomplished golfer playing from the back tees. 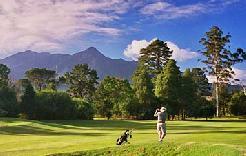 But, at the same time, offer a challenging, yet enjoyable experience for the average or beginner player who plays from the appropriate tees and thinks his or her way around the golf course. 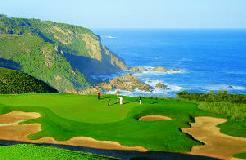 He has certainly been successful with Simola. 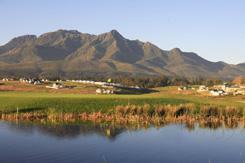 Signature Holes: One cannot single out any hole on this course, they are all just great. We challenge you to pick your favourite. 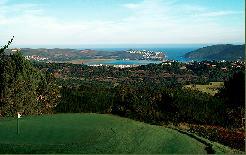 It may be the 10th hole, an elevated tee shot to a narrow landing area 200 meters below. 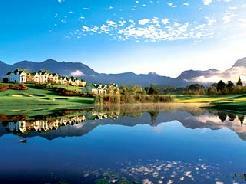 We just love Simola - it's a Golf Connoisseur's choice.